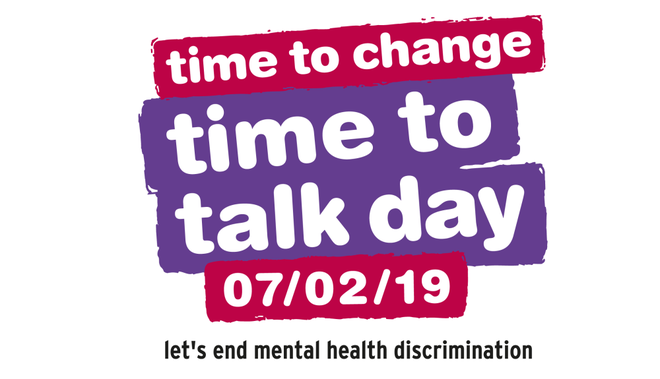 On Thursday 7th February Glade Hill be getting involved in ‘Time to Talk Day’ which is part of a nation-wide push to break the stigma around mental health by talking openly about it. Time to Talk Day aims to get as many people as possible talking about mental health so we will be discussing how there are lots of different ways to have a conversation about mental health and also encouraging our pupils to talk about mental health. Time to Talk Day is organised by Time to Change, the campaign to change how we all think and act about mental health problems, led by charities Mind and Rethink Mental Illness. People can struggle to talk about mental health, so this year, Time to Change is asking people to have a conversation however they like – whether at work, on a walk or over a cup of tea. Since its launch in 2014, Time to Talk Day has sparked millions of conversations in schools, homes, workplaces, in the media and online, and attracted support from celebrities such as Freddie Flintoff, Stephen Fry and Frankie Bridge. We are taking part in Time to Talk Day because mental health is a topic that we should all feel able to talk about. Having these all important conversations can make a big difference to many people. The more we talk, the more lives we can change.